This opening call and response between the host and the audience is standard procedure for events held by Charleston’s lively poetry organization, The Unspoken Word. The ritual is more than fitting as it encourages spectator enthusiasm and warmly welcomes the release of any apprehensive energy they might be holding on to. Furthermore, the audience consists largely of that night’s performers, so the vocalization can be considered a physical and spiritual warm-up. In late 2013, Derek Berry (along with friend and poet Khalil Ali) co-founded and catapulted the Unspoken Word from an idea into existence. The organization grew out of a desire to join Charleston’s more traditional events and poetic institutions with the growing community of young, high-spirited poets. While Berry admits to being happy participating in the pre-existing poetry scene, he was interested in finding a way to bring the various spheres together and cross the sometimes unseen cultural boundaries that exist in the literary world. “There wasn’t really an event that catered to all of these different communities at once,” Berry recalls. The organization is humbly the first to admit they weren’t (and still aren’t) the only literary group in town aiming towards inclusivity, but they are more than proud to contribute. “Personally, I think there’s a very important element of respect for the community that has existed before us,” Berry explains. The point of the Unspoken Word wasn’t to replace the other organizations and events that came before but to create another unique space where the community can come together and support each other. With their target audience in mind, the Unspoken Word began the arduous journey of finding its legs. As the organization began to “find its voice” (c’mon, I had to), it also found Marcus Amaker and Matthew Foley. Amaker, Berry, and Foley now co-manage and curate the organization’s events. Having three people at the helm allows for the diversification of events, venues, and opportunities for local poets. 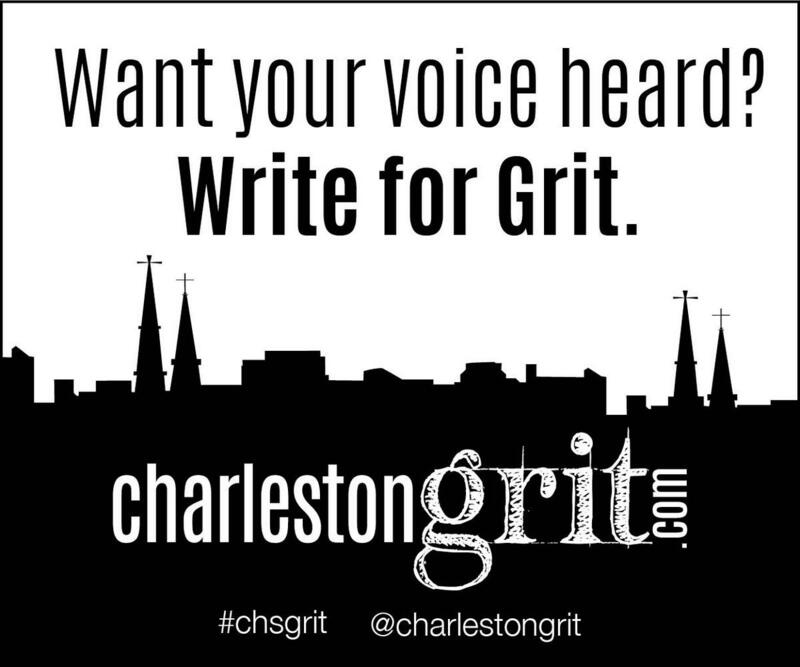 “I think we all have different strengths,” admits Amaker, Charleston’s first Poet Laureate. Truthfully, the trio works incredibly well together: they could practically finish each other’s sentences. They have such a clear and uniform vision for the Unspoken Word, it’s easy to see how they have been able to continue and grow for so long. Interest in The Unspoken Word has seemed to surge recently and could suggest people’s desire to find a means of release during rapidly changing times. “I feel like our city has gone through a lot and in tough times people gravitate towards truth,” Amaker points out. The interest hasn’t just peaked for spectators either; more and more writers have reached out to the Unspoken Word and the poetry community at large. Matthew Foley serves as host for the majority of events and has noticed this influx as well. “So many people come up to me who write, but haven’t felt like they have an outlet for their writing,” Foley says. Keep up with Derek here, Matthew here, and Marcus here and here. The Unspoken Word has open mics every second Friday at Eclectic Cafe & Vinyl, poetry slams every fourth Tuesday at PURE Theatre, and an open writer’s group every Saturday morning at Eclectic Cafe. You can stay up to date with the Unspoken Word and their upcoming events on Facebook, and catch their next event, Writer’s Resist: Poems for Democracy, March 28th (7:30 pm) at PURE Theatre.